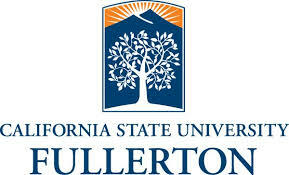 California State University, Fullerton is a major regional university in a vital, flourishing area that includes Orange County, metropolitan Los Angeles and the expanding Inland Empire. The beautiful, 236-acre campus is set in Fullerton in north Orange County, about 25 miles from downtown Los Angeles and about 21 miles from nearby beaches. Cal State Fullerton has more than 37,000 students and approximately 1,800 full- and part-time faculty members. The University offers 107 degree programs in eight colleges. Accredited by the Western Association of Schools and Colleges, CSUF is fourth in the nation for the number of bachelor's degrees awarded to minority students and first in California for the number of bachelor's degrees awarded to Hispanics.